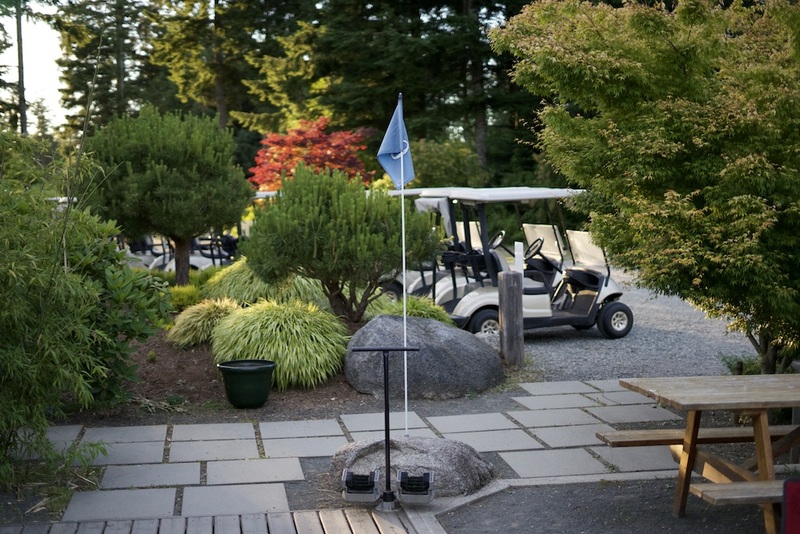 Arrive early to practice your short game, warm up at the range, or enjoy a drink by the pond. 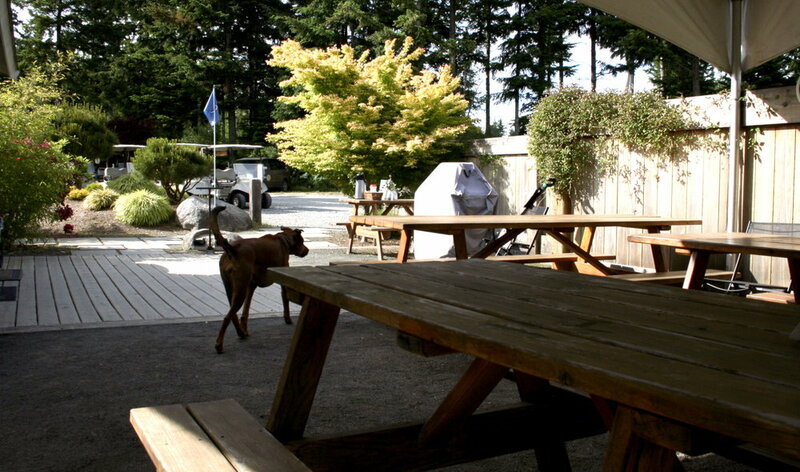 The peace and serenity of our setting is just what you need to get mentally prepared for your round of golf! The birds are always chirping and the local deer are a regular sight. Dial in your short game at our practice green overlooking Sutil Channel and the mainland Coast Mountains. 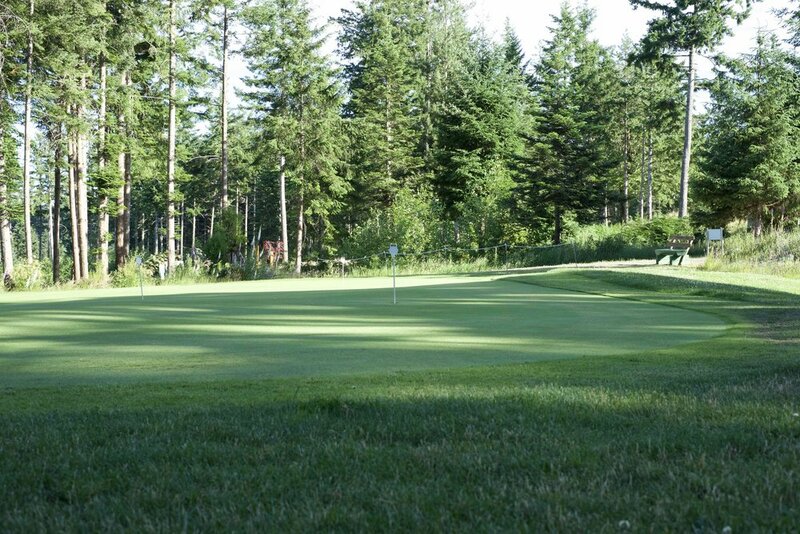 Our 250 yard driving range is just what you need to hone in those irons and straighten out those woods. Need more than just practice? See Jason for a private lesson! Go for it... you deserve to treat yourself!